UFC president Dana White isn’t the only one who was baffled by light heavyweight champ Jon Jones’ decision to decline a last-second scrap against Chael Sonnen. 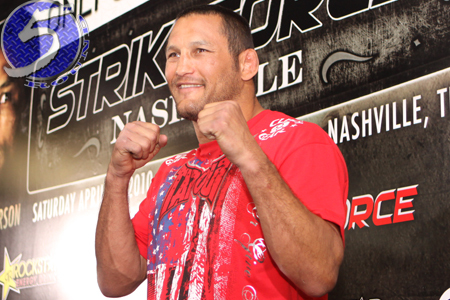 Dan Henderson (Pictured), who was forced to bow out of their September 1st showdown, was also stunned one of the planet’s top pound-for-pound fighters turned Sonnen down. The soon-to-be 42-year-old’s mentality is exactly what White likes for his fighters to have. Unfortunately for the world’s premier mixed martial arts promotion, the Octagon’s golden boy no longer sees things that way. That’s why White felt he was left with no choice but to torch Jones for denying their request. On the other side of the coin, Henderson took to his Facebook page to detail the agony he went through in making the difficult decision of withdrawing from the contest. “Sadly and unfortunately, I partially tore a ligament in my knee in training,” Hendo wrote. “As a result I’ve had to make one of the toughest decisions that I have ever had to make…for the first time in my career I am forced to pull out of a fight, my fight with Jon Jones at UFC 151. Luckily, surgery is not needed at this time and I will be completely devoted to rehabbing my knee as quickly as possible. There is no timetable for Henderson’s return.